Sandra Flattery of Idaho wants the National Parks to be just as exciting for her grandchildren as it is for her. She's a photography buff who has a lifetime pass to the national parks. 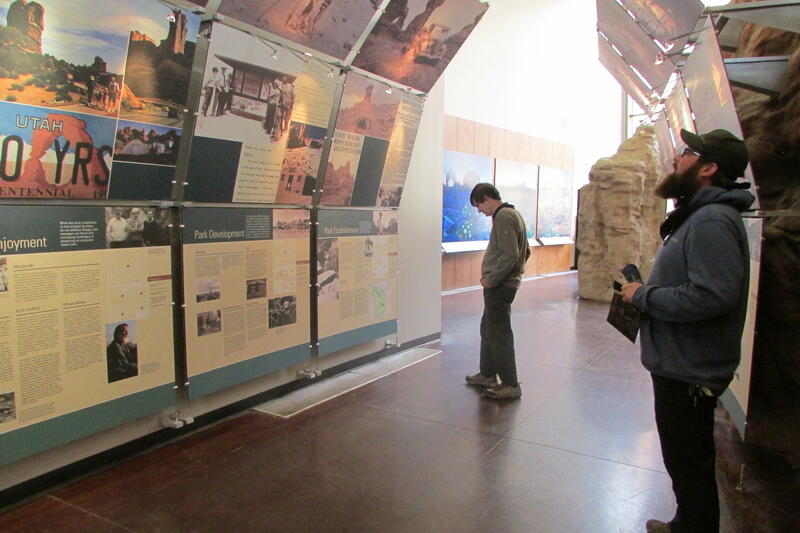 Some of the interactive exhibits at Arches National Park have been broken for months because of computer problems. 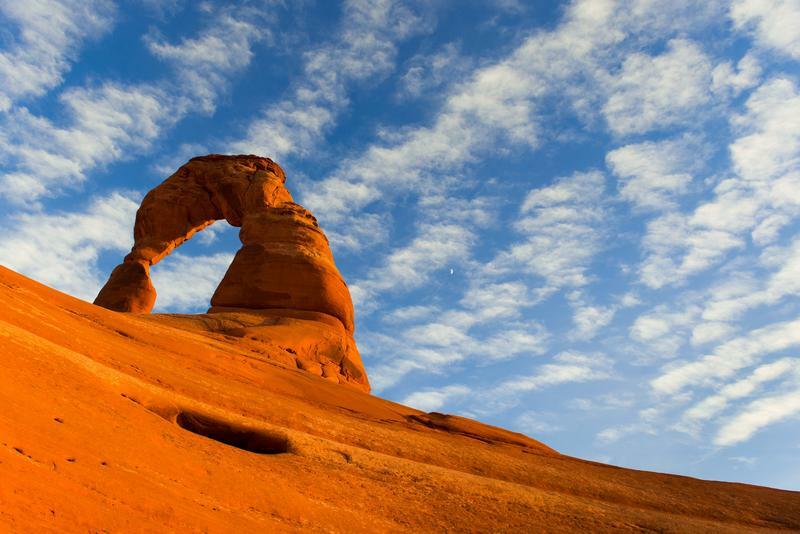 Parks need a variety of repairs and upgrades that amount to more than $175 million in Utah's national parks. “I think after we got lost a few times, we probably would have paid you know 20 bucks a person or something for that,” says Brooke. Trail improvements are among the National Park Service's long backlog list. 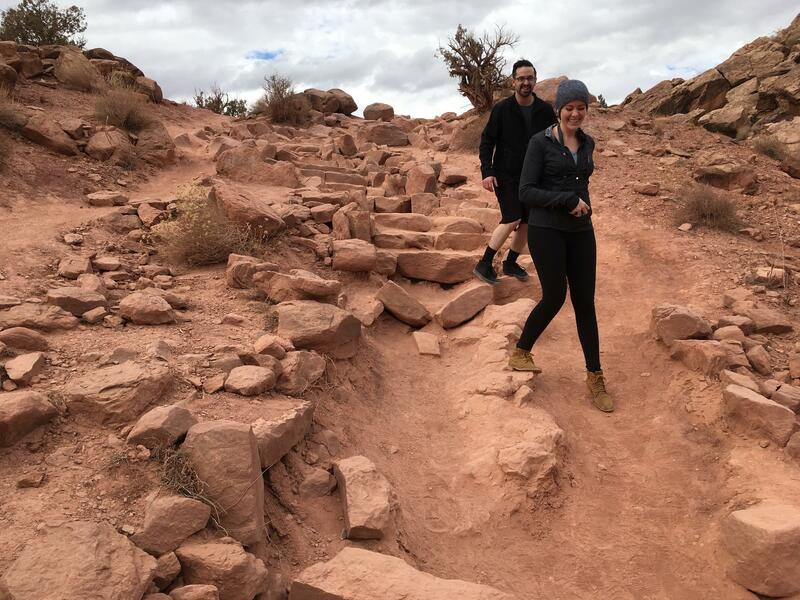 This trail to a Delicate Arch overlook is just one example of nearly $25 million in repairs needed at Arches National Park near Moab. America’s national parks are rickety. Our to-do list for repairs and upgrades is long, and the Trump administration has a plan to help. The money’s needed because of the backlog. It’s like the repair to-do list at home: a leaky toilet, rotting railing on the deck, new carpet for the living room. But here’s the thing: The to-do list at national parks is almost $12 billion – for rebuilding worn out campgrounds and bathrooms, for clearing rubble from hiking trails and replacing guardrails at viewpoints. Work’s needed at all 411 places managed by the National Park Service. 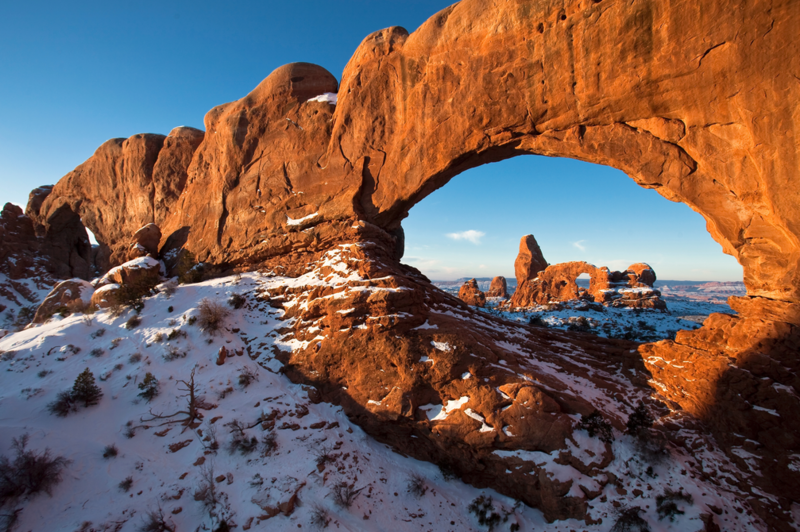 Arches National Park has a backlog of maintenance and repair projects of nearly $25 million. Visitors KUER spoke with said they support innovative ways to raise funds for the work, but they're not convinced the National Park Service's targeted fee proposal is the answer. The Trump administration expects to raise $70 million with the fees. But, with a $12 billion backlog, people worry that $70 million dollars won’t even make a dent. “We are actually quite concerned from the information we've been able to gather so far,” says Vicki Varela, who leads Utah’s tourism office. Now, here’s a math word problem: Take Utah’s Mighty Five national parks – Arches, Canyonlands, Bryce Canyon, Capitol Reef and Zion. If you visit them all now, the total is $120 in entrance fees. And, of that 120 bucks, each park keeps 80 percent of the fee for its own projects. Under the new entrance fees? The same trip would cost you $290. 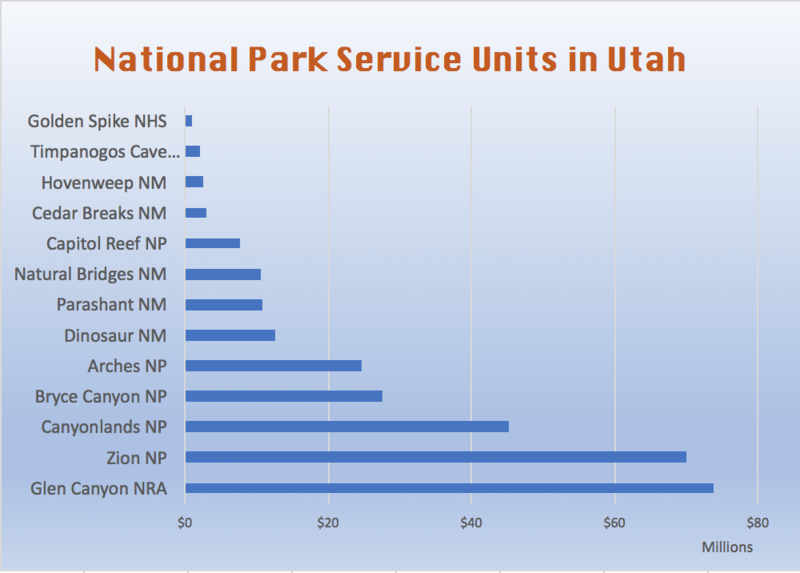 Capitol Reef isn't part of the new fee plan, but the four other Utah parks would see their shares more than double. The National Park Service is taking public comments on its targeted fee program through Dec. 22. Link below. Not really. What’s called the America the Beautiful pass is the reason why. It covers entry fees for all the national parks and all other federal lands. Anywhere in America, All year. For seniors, it never expires. And it costs $80. So, who would pay $70 to explore Arches for a week when 10 bucks more gets them into all the parks year-round? The math’s done, so we can get back to Arches for some fresh air and the cry of a red-tail hawk. Really, that’s a plush toy tucked inside Easton Hoyt’s jacket. Easton’s from Colorado and racking up Junior Ranger stamps. He’s got eight so far this year thanks to an America the Beautiful pass. Nobody here seems to think the $70 pass makes sense. Almost everybody buys an all-parks pass. This is one of the unintended consequence Varela’s worried about. National parks pumped $1.6 billion into the state’s economy last year, so getting this right is a big deal. If you buy an American the Beautiful pass by phone or online, none of the money goes to a particular park. And, if you start your Mighty Five tour at Zion, only Zion gets money. Not the other Utah parks. He wonders about parks that aren’t included in the new fee system. Nearly 400 of them would share about $14 million a year under the Trump administration plan. He also wonders why other revenue sources aren’t on the table, like raising grazing fees. Bringing them up by the cost of living – it would mean $93 million more a year. But that’s not on Trump administration’s agenda. What is? Cutting the park budgets. The Trump administration wants to raise entry fees while cutting the park budget by $400 million dollars and trimming 1,250 staff. He has little faith that Congress will step in. It was Congress, after all, that let the backlog balloon to begin with. Photography buff Sandra Flattery from Idaho is finally visiting Arches. She’s thrilled. She’s always wanted to see Utah’s national parks. 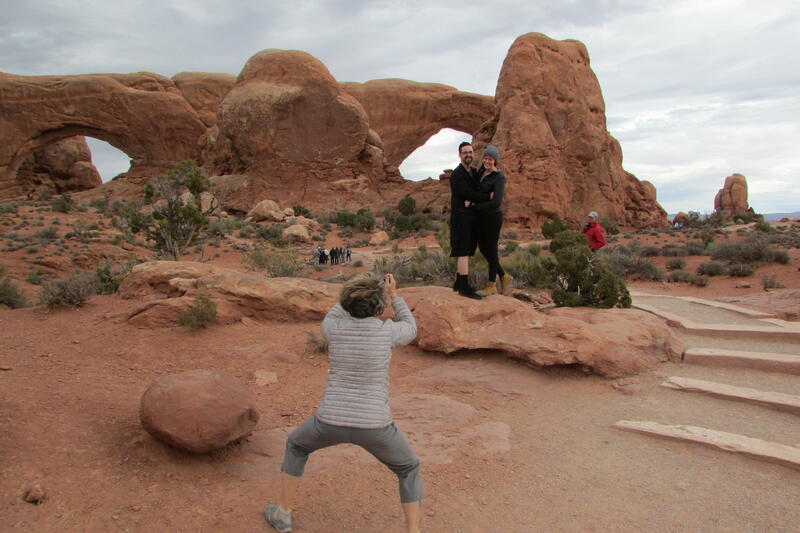 She’s snapping pictures of a young couple posing in front of a grand, redrock arch. Flattery’s like other park visitors who think Nature’s already done her part. She wants the parks to be just as awesome for her grandkids. Now it’s up to Americans and their leaders to accomplish a remarkable feat. They need to solve this money problem. The National Park Service is taking public comments on the targeted fee increase through Dec. 22. Arches National Park celebrated its birthday this week. This year is shaping up to be a memorable and exhaustive one for the park. 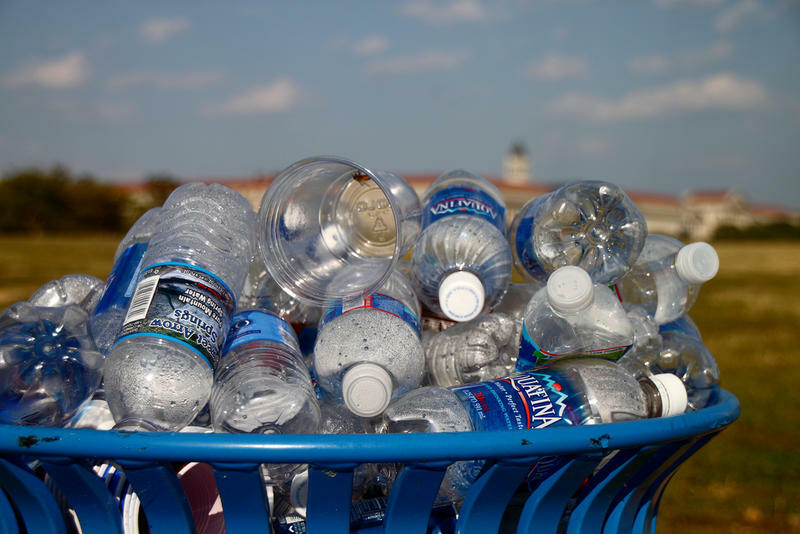 National parks in Utah are reporting less trash in their bins thanks to bans on selling bottled drinks within the parks. 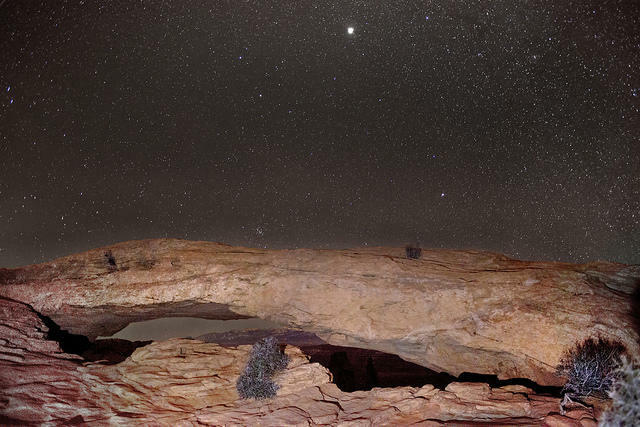 Canyonlands Becomes A "Dark Sky Park"
A saying in Utah’s national parks holds that “half the park is in the dark,” and on Monday Canyonlands National Park announced it has received new recognition for its darker half. State air-quality officials have updated plans to clean up haze in the skies around Utah’s national parks, and they’re sending it to federal regulators for their approval over the objections of environmental advocates.